2 What makes the broker’s offer stand out in the market? 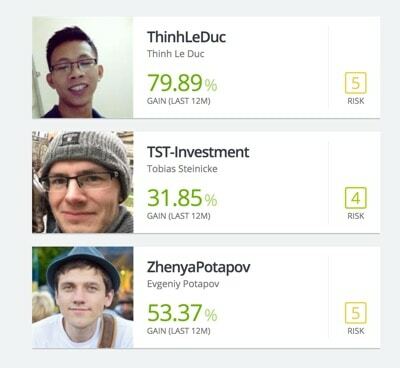 3 How to play as an eToro user? 4 Fees and commissions – how much it will cost? Contemporary investors very often seek new opportunities to multiply their capital in a way that is not only safe, but above all effective. One example of a market very popular nowadays is Forex; it does not require a lot of capital from the investor to open an account, but with reasonable trading, one can gain large profits in a short time. Equally interesting is investing in cryptocurrencies, and more experienced investors also enter the securities market, or, for example, the bullion market. Investing in all these markets would surely become easier if the transactions could be carried out from one place. It turns out that it may be possible, and this is due to the eToro trading platform, which has been on the market for a good 11 years. 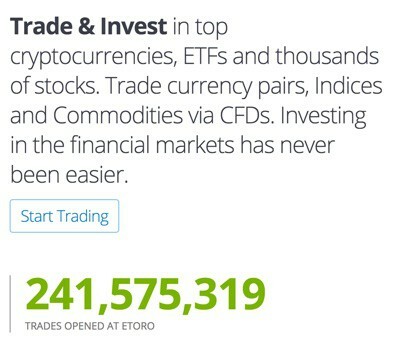 The history of the eToro company really began in 2007, when the first version of the trading platform was launched and made available to the global community. The company initially focused primarily on investments in the Forex market, that is earnings generated from exchange rate differences. Over time, however, new opportunities appeared, such as investing in the cryptocurrency market, entering the stock market or indexes and raw materials that you can invest in through CFD contracts. However, the company primarily promotes itself as a space that is safe and convenient for every investor, no matter if he is just beginning his adventure on the market, or if he is already an experienced player. According to the company’s assurances, the trading platform has been prepared so the access to the data is as easy as possible, and their presentation transparent enough to limit the investment risk. What makes the broker’s offer stand out in the market? Well – there are many similar trading platforms on the market. Naturally, the honesty of such brokers is an entirely different story. The market is full of companies that exist pretty much for the sole purpose of swindling money out of people. 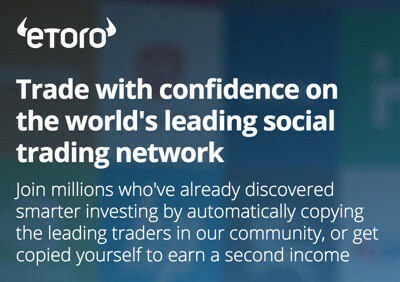 In this respect, however, eToro appears to be a trustworthy place. This trust is based not only on the fact that the company has already existed on the market for 11 years. It is also subject to supervision by Cyprus Securities & Exchange Commission (CySEC), as well as the British Financial Conduct Authority (FCA). This is quite a significant recommendation, which gives one a really high sense of security. eToro, however, stands out not only because of its full financial control and the ability to invest in many markets in one place. In 2015, the company introduced a very interesting social investment service, which enjoys great popularity. Thanks to the right tools, one can view other investors’ actions and copy them in order to achieve high profits together. eToro is clearly steering itself towards the social activity. In addition to the above tool, there is also a simple platform that allows to contact other investors, where they can, for example, share their experience. How to play as an eToro user? To begin the adventure in investing in the markets of eToro one really does not to need to have a lot of experience. We have the company’s assurances that everybody will find on their website a variety of training materials, which will facilitate making the first investments. Of course, one cannot forget here about the social format of the entire portal. Thanks to that, one can ask other investors for help and receive their advice regarding the investment’s security, and a lot of tips for new players. Naturally, eToro also touts its professional customer service. According to the company’s assurances, every person can contact employees at any time and receive a lot of valuable advice as well as answers to all their questions. Fees and commissions – how much it will cost? Of course, like every brokerage house, eToro also collects from its users certain commissions related to the use of its services. At the beginning, it should be emphasized that opening and running an account on the market is free of charge. The list of commissions, though, is very long due to the fact that eToro allows one to invest on many types of markets, including foreign currencies, related to cryptocurrencies or raw materials. To learn about all the commissions and fees associated with a specific market, it is best to simply look at the commission tables that are available on the website and present all the data in a very clear way. The attractiveness of commissions is to a large extent an individual matter, but there is no doubt that many investors praise eToro for charging small fees that in no way hinder investment. People planning to start their investment adventure on eToro must remember that the company has introduced some minimum deposits. In most cases, they currently range from $200 to $500. Where do such discrepancies come from? The amount of the minimum deposit depends on the region of the world the user comes from. To check the amount of commission for your own location, simply log in to your account and go to the tab in which you can pay the deposits. eToro can certainly boast of many achievements in the field of brokerage, but are all of the company’s assurances truthful? For this reason, we have looked at numerous comments from other investors who are familiar with this broker or are still using its services. It turns out that the vast majority of people praise the company’s commitment to helping new investors. There are also many opinions about low commissions, high effectiveness of customer service and intuitive tools that the users can use to make investments. These are quite encouraging recommendations, although, of course, the final decision about what to choose depends on individual requirements. Needless to say, one must remember that investing in the stock market always involves some risk. All transactions involve risks. Risk only with the capital which, in the worst case, you are ready to lose. Previous actions do not guarantee future results. This article is intended for educational purposes and should not be treated as investment advice. Prices of cryptocurrencies may fluctuate widely and are not suitable for all types of investors. Transaction cryptocurrencies are not supervised by any EU regulatory framework. Your investment capital may be at risk at any time. i’m curious especially about investing in cryptocurrencies. Is this platform really prepared so well for it, and are there tools that an inexperienced person can handle??? I’m looking for help for a newbie who wants to start investing in financial markets. Any advice? How’s etoro in regard to commissions on bitcoin trading??? Is it worth taking advantage of this offer??? By the way I am very interested in the workings of this social network, is it really so helpful? is it worth investing in BTC at all?